"Diamond Highway is moving and powerful. It has relevance for a whole era of searching and discovery." 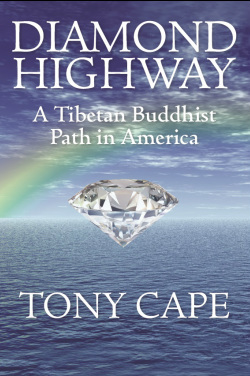 "Tony Cape's Diamond Highway is a compelling written, searingly honest account of his life as a student of the brilliant and provocative Tibetan Buddhist master Chogyam Trungpa, Rinpoche and his controversial successor Osel Tendzin." "The best book written to date on this topic."